Home Cycling Bennett achieves the 1st stage in Turkey; Robredo, 8 "
Bennett achieves the 1st stage in Turkey; Robredo, 8 "
The Irish Sam Bennett, of the Bora-Hansgrohe team, is placed as the first leader of the Tour of Turkey after prevailing in the sprint. Robredo rewarded. The Irish Sam Bennett, of the Bora-Hansgrohe team, is placed as the first leader of the Tour of Turkey after winning the sprint, while Alvaro Robredo reaches the fifth place in the general classification 8 seconds behind the British. 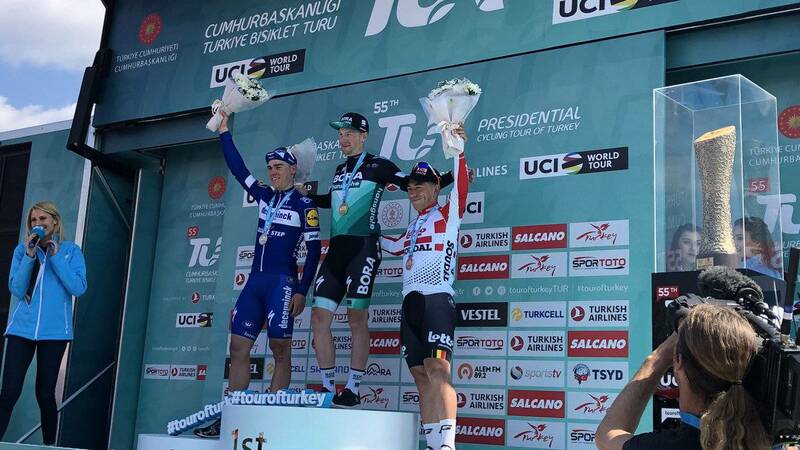 Bennet crossed the line goal in Terkidag with a time of 3 hours, 32 minutes and 34 seconds and, with this victory, now totals eight stage wins among his three consecutive appearances in the Turkish championship. The podium was completed by the Dutchman Fabio Jakobsen and the Australian Caleb Ewan, runners of Deceuninck-Quick-Step and Lotto Soudal respectively. The second stage, between Terkidag and Eceabat, is scheduled for this Wednesday, April 17 and, with a steep finish, it has a length of 183.3 kilometers.